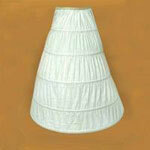 Renaissance Wedding Dress for sale is perfect for any medieval or period wedding. These gorgeous white gowns are layered in polyester satin. 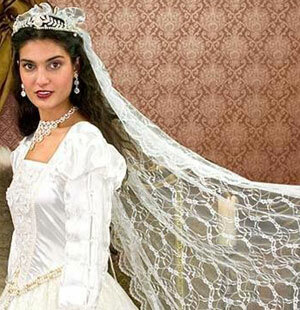 The Renaissance Wedding Dress is decorated with hand-made flowers and white, faux pearls. This medieval gown features floral lace and includes a 60 inch matching veil. The Renaissance Wedding Dress features a romantic lace-up back and a white and gold beaded belt. The veil is included; however, the tiara crown is not included. 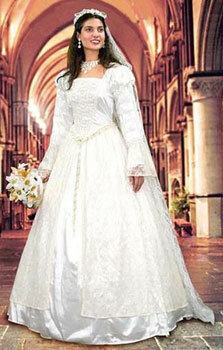 Buy this beautiful Renaissance Wedding Dress for only $199.99.